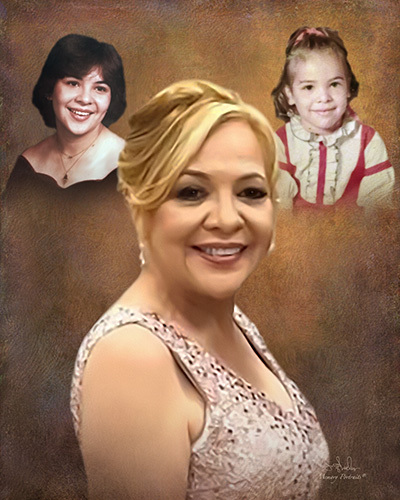 Obituary for Cecilia H. Padilla | Rushing-Estes-Knowles Mortuary, Inc.
Cecilia H. Padilla of Uvalde passed away on April 10, 2019 in Uvalde at the age of 54. She was born on April 6, 1965 to Fortunato and Joe Alice (Ramos) Hinojosa in Uvalde. She married Arnold Padilla in Uvalde on December 16, 2000. Cecilia is survived by her husband of 19 years of Uvalde; son, Miguel Hernandez, III and wife, Cristina of Kyle; sisters, Norma Velasquez and husband, Ruben, Diane Luna, Frances Estrada and Mary Jo Perez and husband, Raul all of Uvalde; brothers, Fortunato Hinojosa, Jr. and Ernest Hinojosa and wife, Veronica all of Uvalde; step children, Marisa Alcorta and husband, David, Adriana Padilla-Colón and husband, Cory and Daniel Padilla all of San Antonio; grandchildren, NoahColón, Isabella Alcorta, Matthew Alcorta and Urijah Colón; and numerous nieces, nephews and cousins. She was preceded in death by her parents and sister-in-law, Guadalupe Hinojosa.